The two-ness of the mind is one of its most basic features. 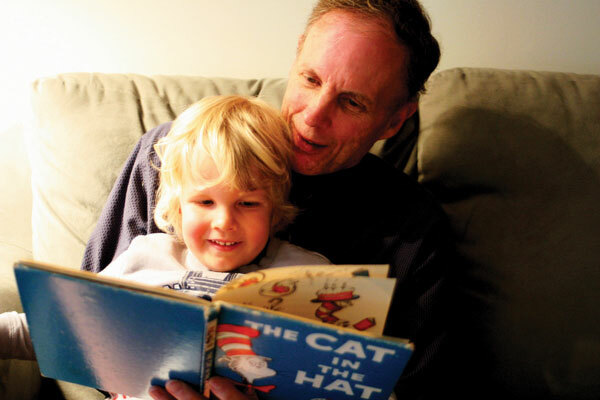 Meditation Teacher David Lawson reading The Cat in the Hat to his son, Ben. The Cat has two helpers, Thing One and Thing Two, who create "maximum mischief" wherever they go. Not unlike the human mind, forming endless pairs of opposites. Of course, such distinctions can be useful in navigating conventional life experiences. But from a broader perspective, the words may seem a bit arbitrary when one always sees “this” in the context of “that.” For example, the next time you experience a feeling you would identify as “sad” or “empty,” look around and see if there isn’t also the presence of something you might even call “happy” or “full.” It is good to know the undivided wholeness of our experience. If we try to pull “this” out of the total flow of events in which it occurs, it is rendered a mere thing, an orphaned phenomenon. None of this would necessarily be a problem if it were not for the fact that the heart, the wiser counterpart to the discursive mind, does not like to raise its voice. People who come to meditation may say they want to learn it for relaxation, purification, transcendence, or any number of reasons. But upon actually meditating, they soon find that they have really come to listen to the whispering, sometimes stammering, heart. Eventually, they will be guided to a place beyond all notions of “one” and “two” — a place inhabited by the heart, which has been quietly and patiently waiting for them to just show up. Although very few people come to meditation practice in order to become more vulnerable and available to the world, it is usually the first result that is most noticeable. In fact, the main reason I teach meditation is for the honor of being present when this starts to occur. It is amazing to witness a wonderful kind of alchemy, made possible by the practice of meditation, that mixes attention and pain together and ends up with kindness and wisdom. While such grace will develop naturally through meditation, it can also be helped through the offering of blessings. The offering of blessings is a directed practice that works to bring into full awareness the resistance “this” feels to “that.” It helps us see how our hearts have been hurt by disappointment and loneliness. With this awareness, we may finally be able to have compassion for ourselves, which makes compassion for others possible. The Buddhist traditions include several ways to offer blessings. In the tradition known as the “Path of the Elders,” blessings can be expressed to others and oneself in the form of internal statements such as, “May you be happy,” or “May you be free from suffering.” Although this approach is traditionally taught as part of sitting practice, I believe it can be at least as beneficial when practiced during the activities of everyday life. For example, you might see someone at the grocery store who seems to be having a difficult day. Offering this person a blessing could be as simple as silently sending the wish, “May you know that you are loved.” Notice how it feels as the heart tentatively starts to speak for itself, making its presence known and available. Because of how habitually hard we are on ourselves, it probably will not occur to you to offer these same wishes to yourself. It may be difficult, but simply note your resistance to comforting yourself, and attempt to do it anyway. When you offer a self-blessing, you acknowledge that out of all the people you have hurt in your life, the one you have hurt the most is yourself. In the tradition known as “The Thunderbolt Vehicle,” there is not only the outward offering of comfort to others, but the imagined breathing in of their suffering. Now, this really goes against the grain! You will naturally want to hold on to all the good stuff for yourself and let others keep their suffering, not letting it affect you. But all efforts to build immunity from others’ pain are in themselves painful! The process of letting go of our immunization is known as tonglen, or “taking and sending.” Its long-term practice can be extremely beneficial to anyone who undertakes it. In a recent visit to the U.S., the Dalai Lama himself remarked that the practice of sending and taking continues to help him enormously in gaining and maintaining inner strength. If you are like me, you will probably find yourself in a situation with a difficult person as early as tomorrow. This is the perfect person with whom to practice taking and sending. Simply, and with patience for yourself, bring that person’s anger, pain, or confusion into yourself on the in-breath and send whatever feeling of comfort you can offer on the out-breath. This is hard, and if you find yourself unable or unwilling to do it at first, simply try again. Watch for any form of magical thinking that tries to convince you that this exercise will somehow make you sick or prove that you are a masochist in some way. The point is not to put yourself down or to take on pain you cannot handle. Rather, it is to allow for a growing resonance with the wise heart. I hope you will try these simple exercises as you go about your day. 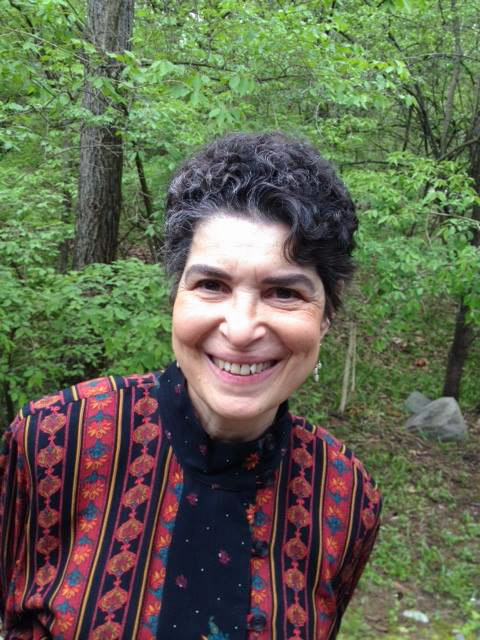 Space does not permit in-depth exploration of the traditional methods here, but you should know that blessing practice works well when “home-grown,” — when it comes from your own intuitive sense of generosity. You can learn to befriend Thing One and Thing Two. David has been practicing meditation for over 25 years and has been a student of Buddhist practice for 20 years. For the past 15 years, he has been teaching ongoing classes and retreats in a variety of settings. He is co-founder of the Hungry Ghost Meditation Group, where he currently teaches. David lives in Ann Arbor with his wife and son. He can be reached at ldlawson@sbcglobal.net or by calling (734) 662-8317.